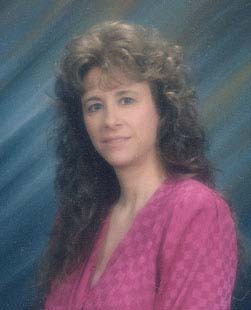 Susan, about 25 years ago. "Who do we have to play the piano this morning?" Helping people worship our Creator with top quality accompaniment music is the goal of PAVE Records. 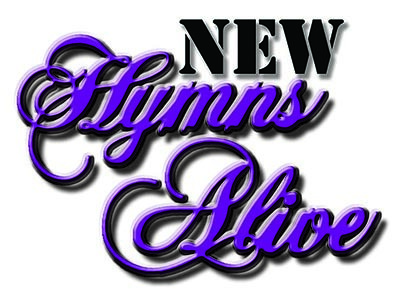 New Hymns Alive is a compilation of 719 hymns on 24 Compact Discs. Ninety eight percent (98%) of which are known and loved by Christians of all denominations. This compilation comes directly from the Seventh-day Adventist Hymnal. Recorded in the exact order they appear in the hymnal (organ - right channel, piano and occasionally other instruments - right channel), they accompany literally tens of thousands of worshipers every weekend. 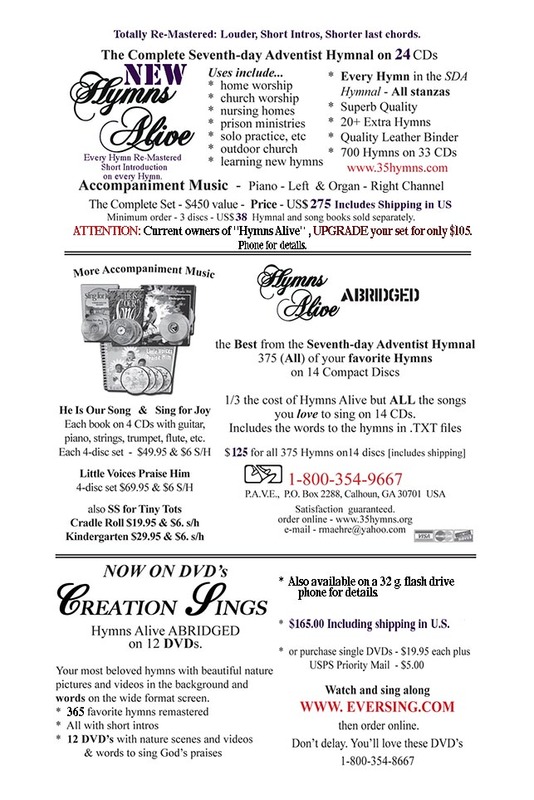 719 hymns on 24 Compact Discs with superb quality. The complete set comes with a quality binder, an index and individual CD indexes. 2.) "The Lord Is In His Holy Temple"
4.) "Praise God From Whom All Blessings Flow"
Some very common, and basic questions about New Hymns Alive and CD technology. What is a CD Player and which one should I buy? A Compact Disc player is an electronic instrument that plays Compact Discs with a laser beam. They now cost $100 and up. Get a name brand "changer" model (it can hold several discs at a time) with a remote control (with a full number pad). This eases playing and programming. A number pad will let you simply push buttons "2" and "1" and then "play" to play hymn number 21. There are even models that can hold 50 or 100 discs. Many church have purchased these models and the operator never has to touch any CD. How can we play just the organ or piano? The organ is recorded on the right channel and the piano and strings (if any) on the left. Most stereo amplifiers have a "balance" knob. Turn the knob all the way right and get only organ, left you'll only get piano. If you have a monaural amplifiers you can use an inexpensive audio mixer to alter the volumn of either piano or organ. How about the Doxology and other responses? We have included (on every disc) the five most commonly used responses. These include the Doxology, "The Lord is In His Holy Temple", Gloria Patri, "Hear Our Prayer, O Lord", and something for the children's story. Can I expect good quality? Yes. We used the latest equipment including a Digital Audio Tape recorder and a $60,000 Allen organ about 25 years ago. Can we play them through our present PA system? Yes, most likely. However the quality of that system will determine the quality of sound you hear. A relatively inexpensive "home" stereo system may sound a lot better than the one you currently are using. Will the discs wear out? CD's last a very long time. They may get scratched when not in use, but since the play mechanism doesn't touch the disc at all they should last "'till Jesus comes" with proper care. Leave them in their protective case when not in use. Avoid excessive heat.